Grew Up… in an influential family. Senator Shaw, who grew up with power, believes that she deserves to wield influence on how United States goes into the tumultuous twenty-first century. Profession… U.S. Senator. Eleanor Shaw sees the future of the country in her hands, and she “will do whatever is necessary to protect America from anyone who opposes her,” even if it means manipulating her own son, Congressmen Raymond Shaw. Challenge… executing her plan to take control of America. 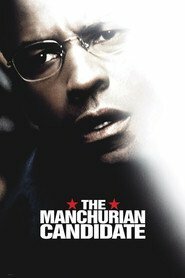 With the help of Manchurian Global, an international weapons manufacturer, Eleanor finds herself a heartbeat away from the highest political office on Earth. Eleanor Prentiss Shaw's popularity ranking on CharacTour is #4859 out of 5,000+ characters. See our top-ranked characters and read their profiles.